While nowadays the topic of MHM is gaining more and more attention, it has widely been neglected in the past. SDG4 (education), SDG5 (gender equality) and SDG6 (water and sanitation) require female friendly sanitation facilities and available informational materials at schools around the globe. Taking into account the magnitude of the population affected by issues around MHM, schools provide an ideal environment to reach girls as well as young women and to address taboos and misconceptions in a culturally sensitive manner. The question, however, is how to approach the topic in a culturally sensitive manner? During the discussion, regular summaries of forum entries will be posted to keep you updated on our conversation. Coordination on behalf of the SuSanA secretariat for this thematic discussion will be carried out by Dr. Bella Monse, Jan Schlenk and Mintje Büürma. 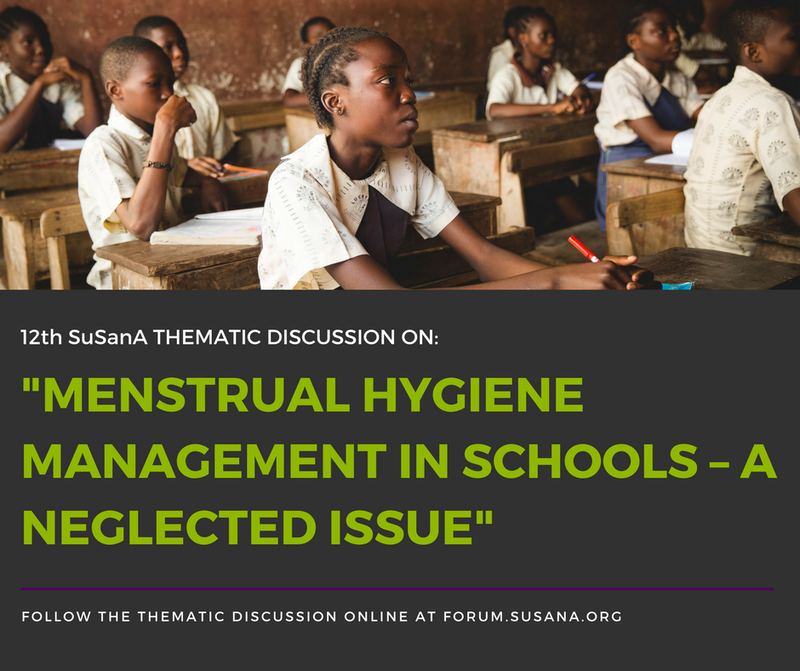 For any questions, you can post on the forum or contact us directly at info@susana.org. Organizations around the world are coming together behind a common goal of keeping governments accountable to promises made with regards to providing safe water and sanitation to all. Join the conversation this Water Action Month!